This cage is designed for Panasonic GH5 and a perfect fit for the camera. Cagen is made from one single piece of aluminum and is small, convenient and ergonomic with a low weight. Cagen has a variety of 1/4 "-skruvgängor that makes it easy to mount accessories and design allows you to seamlessly access the camera's buttons, change the battery and memory card without unmounting. 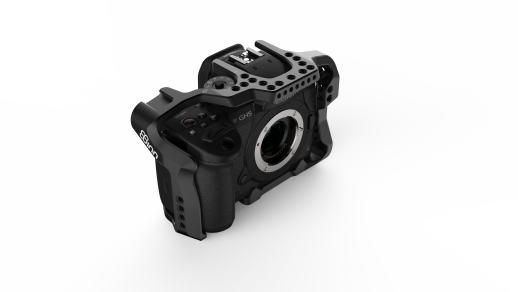 There is also an accessory shoe for attaching optional accessories as well as a cable clamp that fits various cable types and protects the HDMI port on the camera. All handles and accessories from 8Sinn works to this.